Four years after the sudden death of beloved actor Robin Williams, a new HBO documentary titled Robin Williams: Come Inside My Mind is coming out. Focused less on his performances in movies or television and much more on his inner life, Come Inside My Mind is a love letter to Williams, an examination of what he was like when the cameras stopped rolling. It features anecdotes from his lifelong friends, family and colleagues. Many of us were familiar with Williams as an actor, but it's impossible for us to have truly known him. Despite this, however, we can get a little bit closer to understanding him and appreciating him. So, on that note, let's take a look at some new, interesting things we learned about Williams from Come Inside My Mind. Williams states from the beginning of Come Inside My Mind that he felt lonely most of the time, in part because he was raised as an only child (he had two half-brothers, whom he met during his childhood). This feeling of loneliness, as felt by him or perceived by others, would permeate his life. In the documentary, Williams speaks very fondly of his mother as the jokester of the family. He recalls her doing silly physical comedy, like setting out Whoopee cushions where people would sit on them, putting an elastic band up her nose and pulling it out or simply cracking jokes constantly. Williams compares his time going to a private all-boys high school as something similar to Dead Poets Society, implying that in some ways, his formative education helped prepare him for his 1989 role. 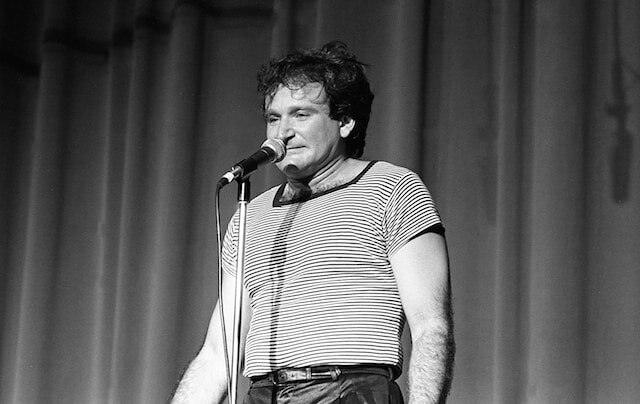 Williams recalls his first time performing or even being funny for people outside his family when he performed in a high school variety show and did an impression of one of his teachers. Williams went to Claremont Men's College (now known as Claremont McKenna College) for his first year. He later signed up for improv classes as a way to meet women from Pitzer College because they could enroll in these classes, too. But Williams soon fell in love with improv, spending all his time in this art form rather than going to class. His father pulled him out when Williams' grades faltered, sending him to the more local College of Marin. 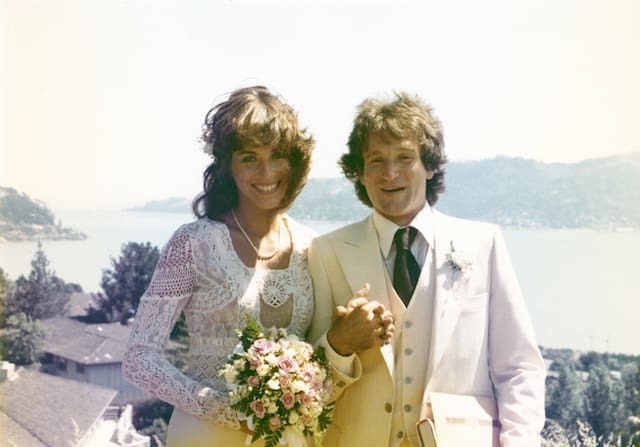 Williams' erratic, high-energy performance as Mork on Mork & Mindy frequently resulted in him not hitting his mark. Because of this, combined with union restrictions that did not require cameramen to follow Williams with the camera, showrunner Garry Marshall insisted on hiring a fourth cameraman to catch Williams' delightful performance. This created a new, four-camera standard on television shows that's remained in place to this day. 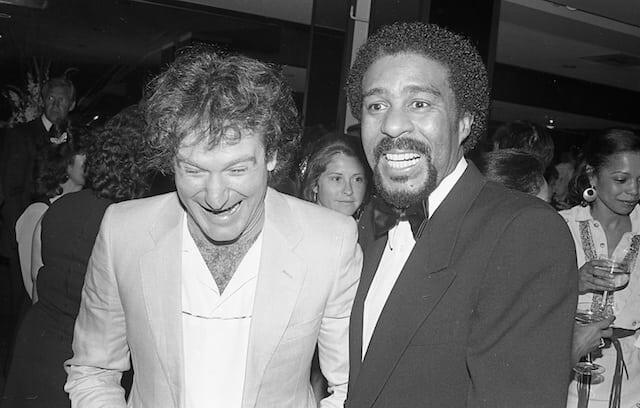 The documentary discusses Williams' addiction to cocaine, which began during Mork & Mindy season two, and his subsequent fight to sober up during the early years of his fame, in the late '70s and '80s. 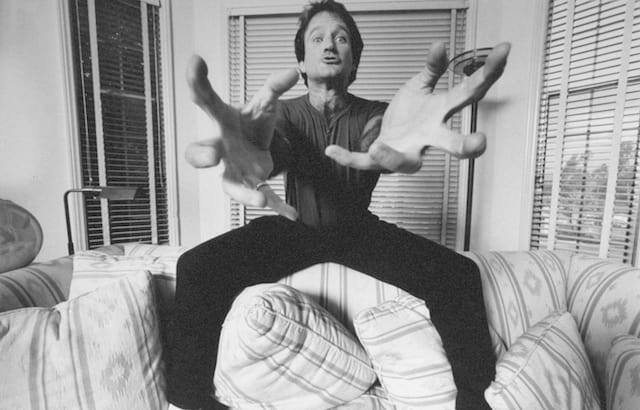 Toward the end of the documentary, we learn that Williams also fought to overcome an addiction to alcohol — a chapter in his life he incorporated into his later standup material. Williams' Mork & Mindy costar, Pam Dawber, recalls Williams arriving on set on March 6 and talking about his night at the Chateau Marmont. That night, he was meant to hang out with Robert De Niro, but De Niro was otherwise occupied with a group of women. So, Williams told Dawber, he went down to John Belushi's bungalow and spent the night with him, noting that Belushi looked pretty strung out when he arrived. Belushi ostensibly overdosed after Williams left. Williams didn't find out until the next morning, when Dawber told him about it after Belushi's death made the news. "I had this wanderlust and so did she," Williams says in voiceover, alluding the dissolution of his marriage to his first wife, Valerie Velardi. Velardi confirms that the combination of Williams' massive success and the perks of fame pulled him closer into the heart of public life while Velardi yearned to have a quieter life away from Los Angeles. "Robin and I had drifted apart," Velardi explains. "I wanted out. I no longer wanted this life; that's not what I had signed up for. 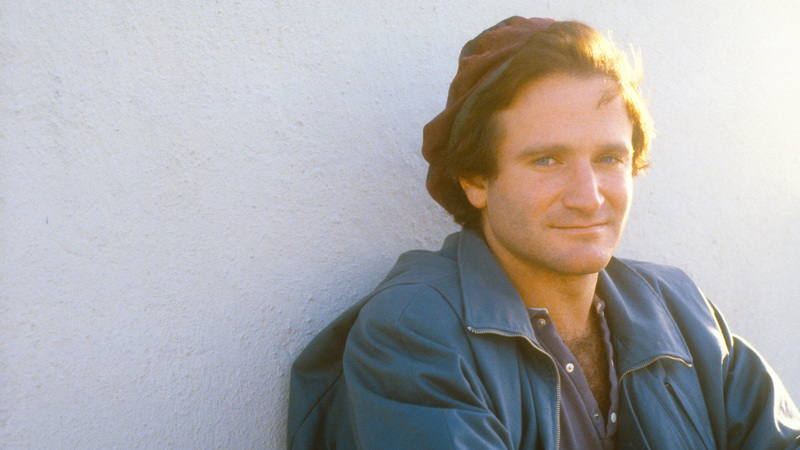 I wanted Robin and the fun that we had — and then it turned into an industry." It was an amicable split, as both parties imply, but Velardi makes it clear that Williams' fame added pressure to their marriage. Billy Crystal spends most of Come Inside My Mind recalling what a jovial, loving man Williams was over the course of their long friendship and to the world. But at one point, Crystal says that the night Williams quietly told him he had Parkinson's was the first time Crystal had seen the actor look visibly afraid. After his death, by his request, Williams' ashes were returned to one of the places he loved most: San Francisco. Come Inside My Mind airs Monday at 8 p.m. Eastern on HBO. It's also available to stream on HBO Go and HBO Now.